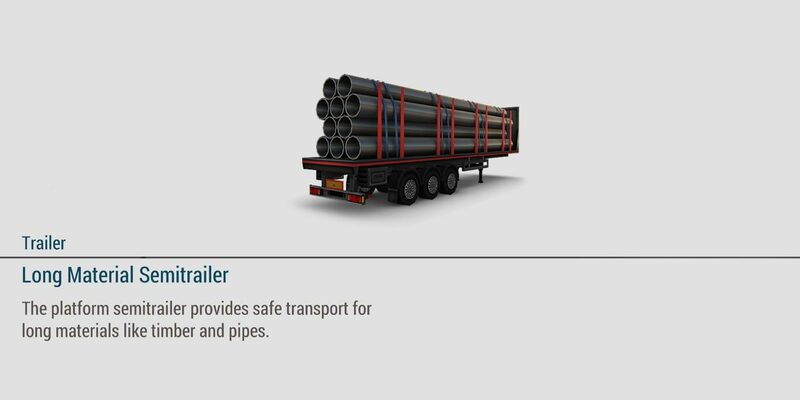 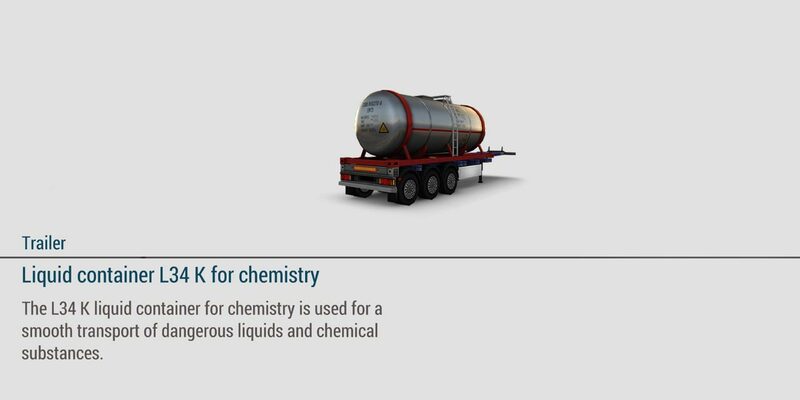 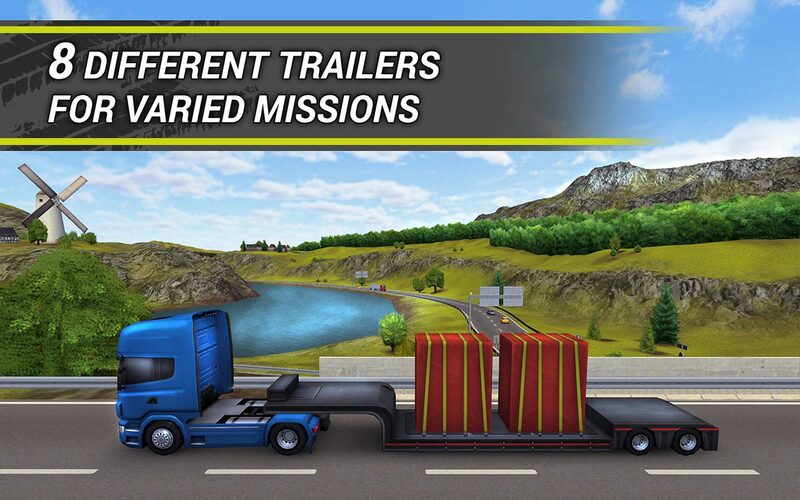 Diverse mission types, from standard orders to the transportation of hazardous goods, provide plenty of variety. 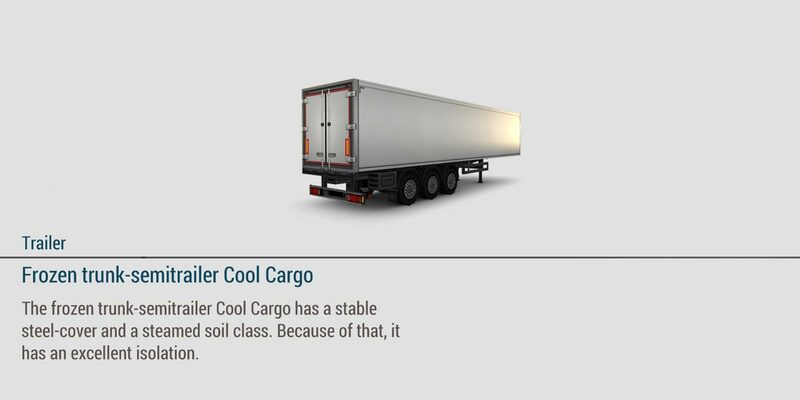 Select the right trailer for one of eight different categories of goods – transport bulky goods using the wood semitrailer or groceries with the frozen trunk-semitrailer. 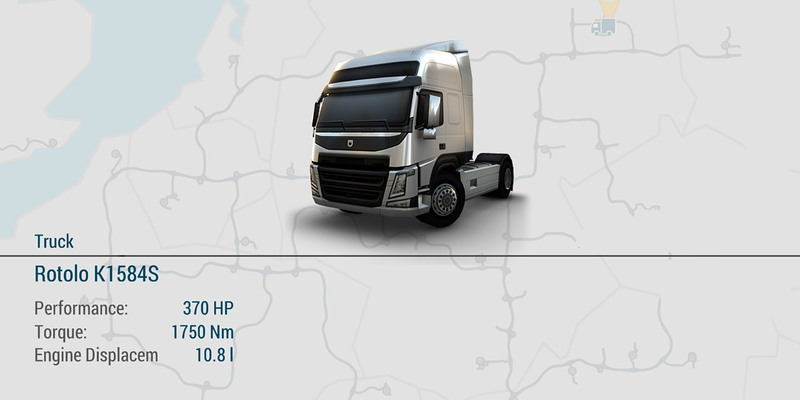 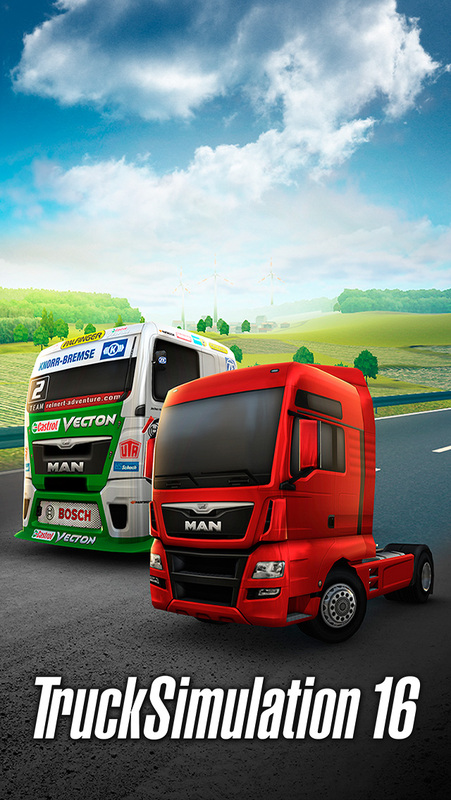 The road network covers vast parts of Central and Western Europe and, with more than 20 cities complete with realistic landmarks, it provides unlimited driving pleasure along familiar highways. 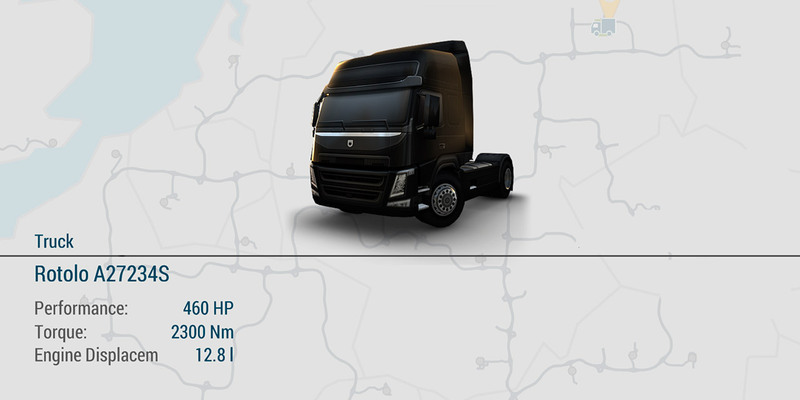 If you undertake your journeys carefully and punctually, you will receive bonuses that you can invest into your company – in the management menu you can employ new workers, who will be able to undertake journeys and bring in money for new vehicles and trailers. 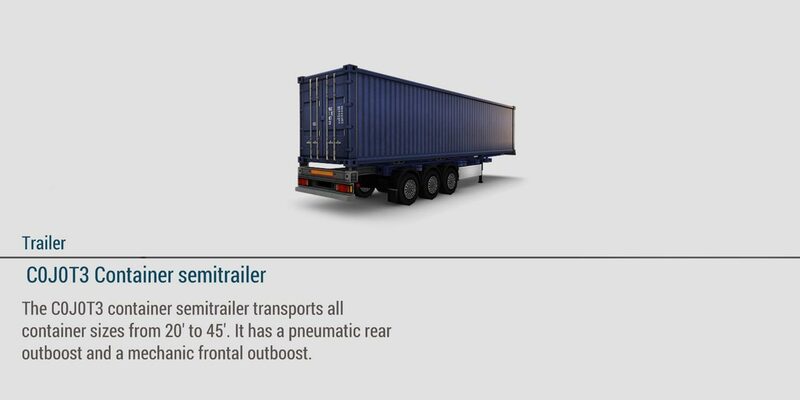 Have you amassed a small fortune? 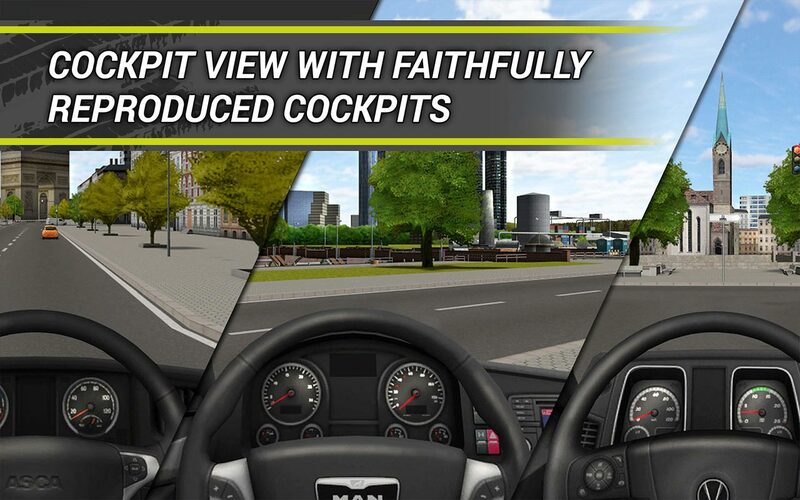 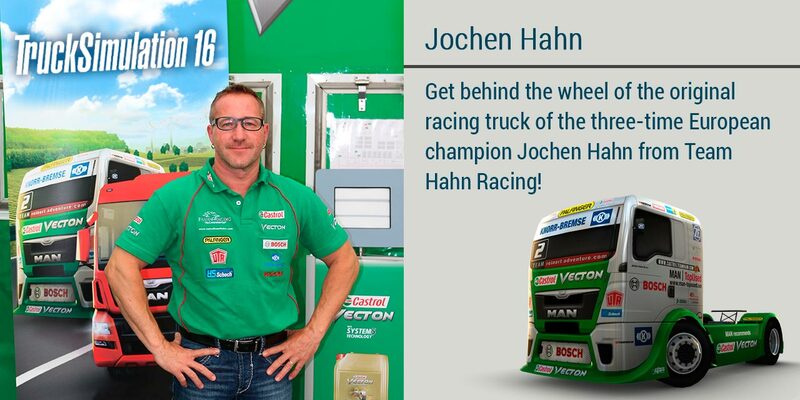 Then treat yourself to the faithfully-reproduced racing truck by Team Hahn, the several-time European champions, and hurtle along Europe's highways in a real racing truck. Will you become the biggest player in European logistics? 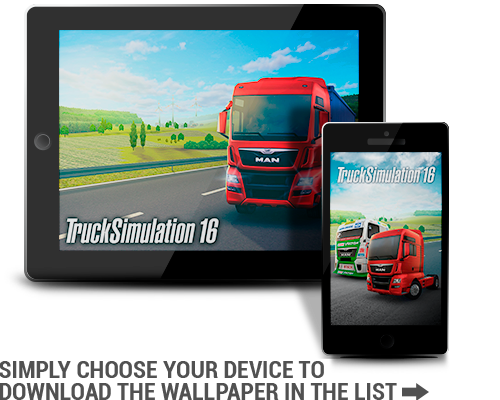 Choose a motive for your tablet or smart phone. 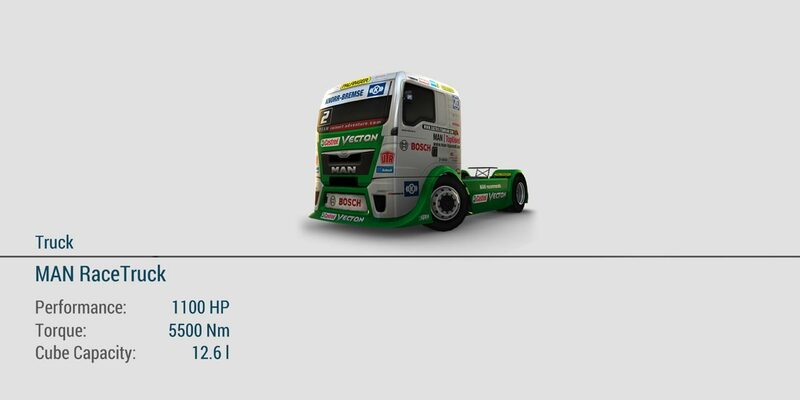 We have provided two pictures for your smartphone, so you are able to choose between a lock screen pic and a background pic. Find your device respectively your screen resolution in the list below and download the picture into your device's photo gallery. 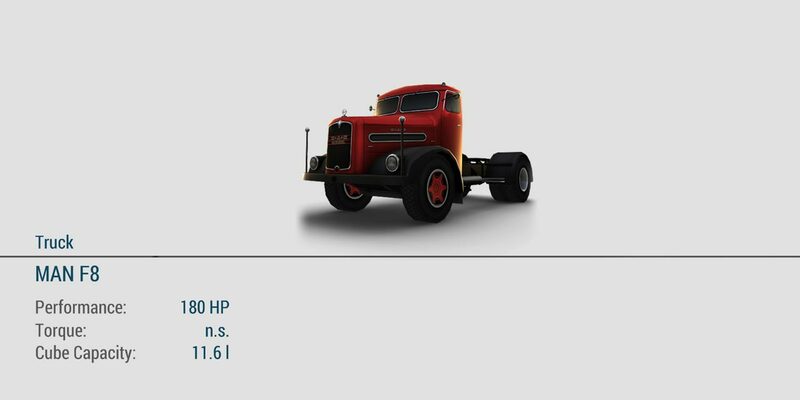 Open the gallery and tap on the picture. 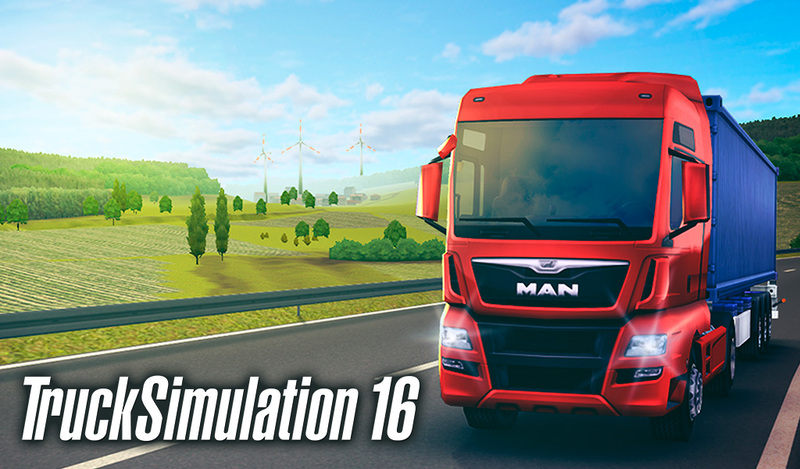 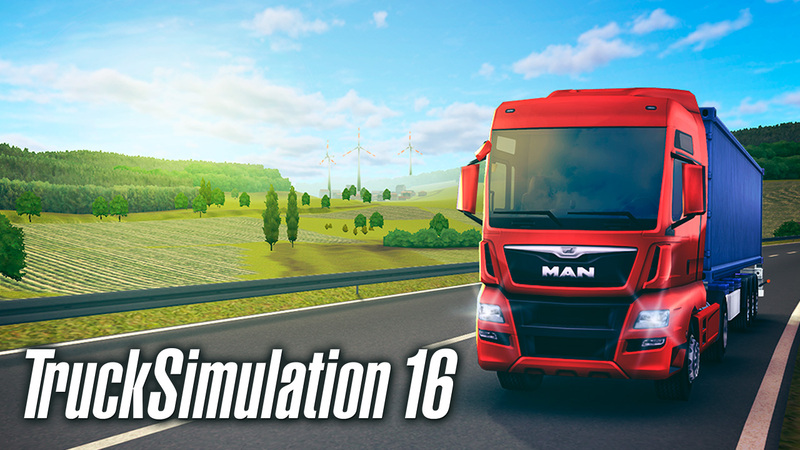 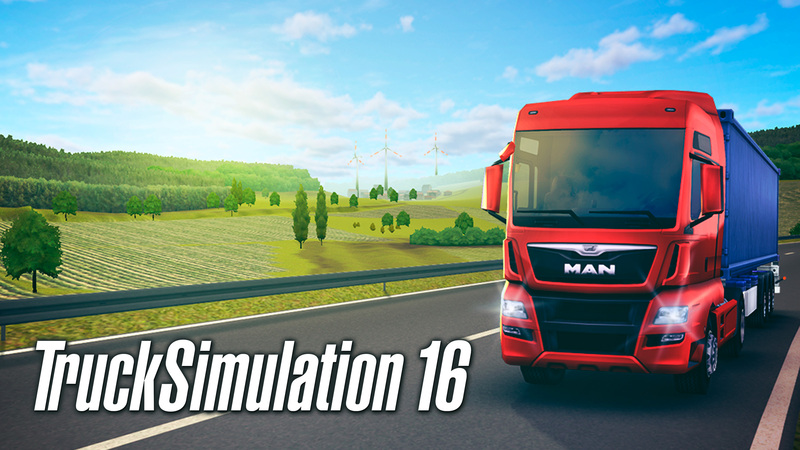 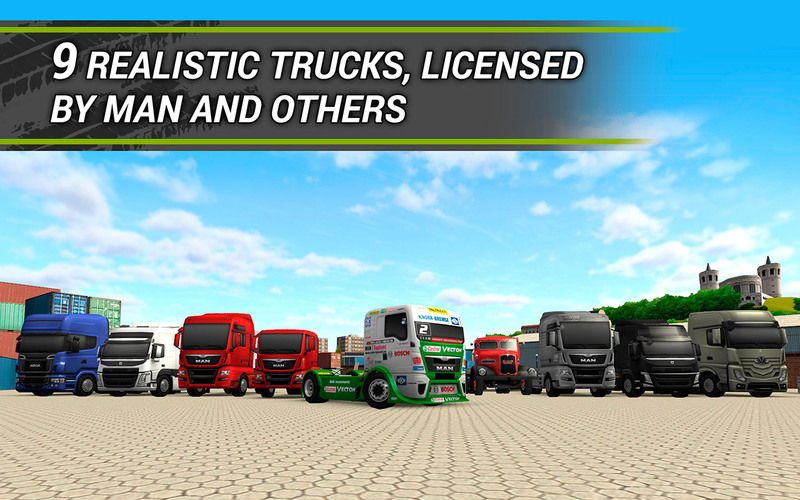 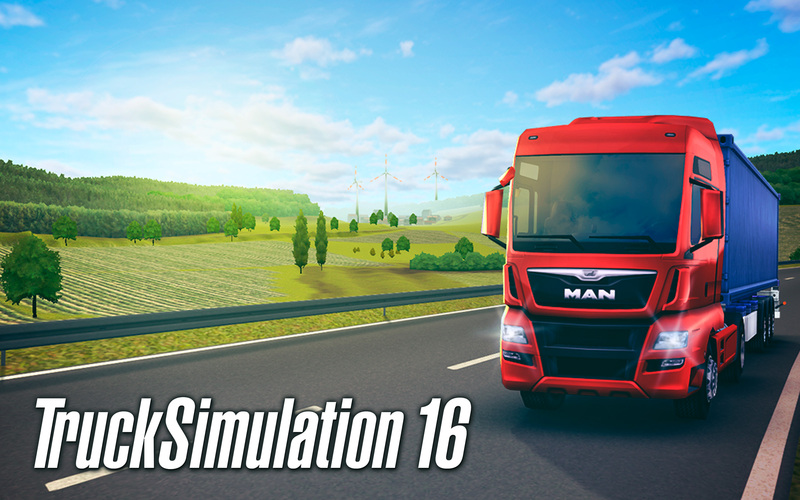 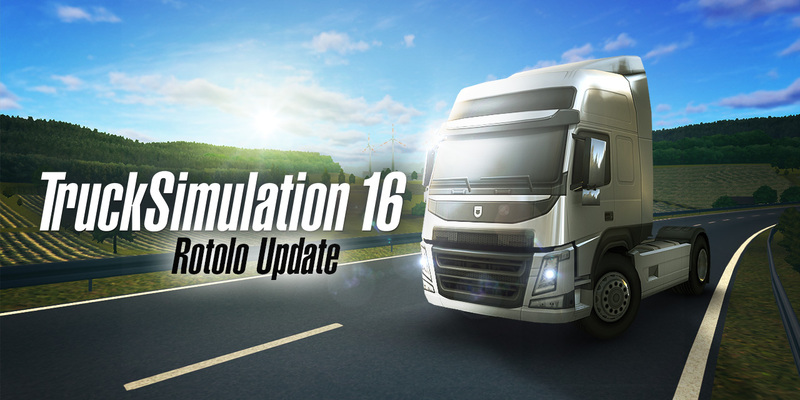 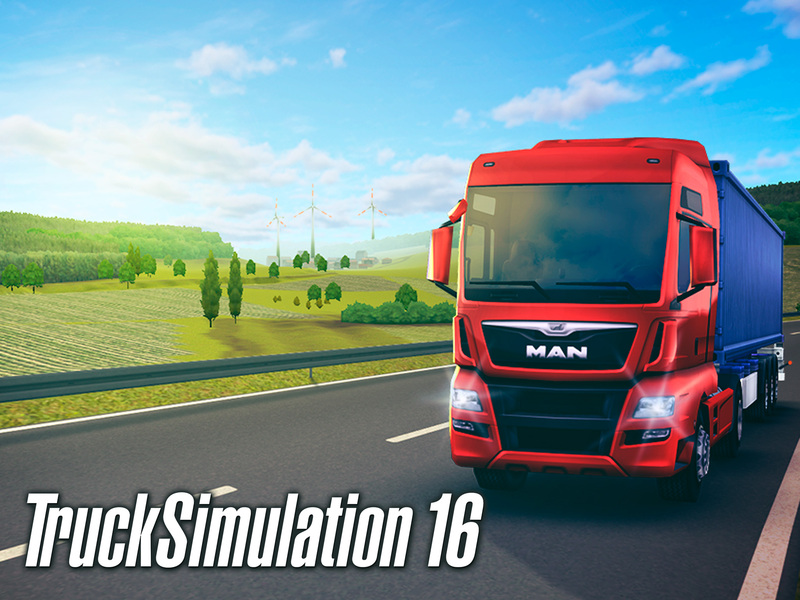 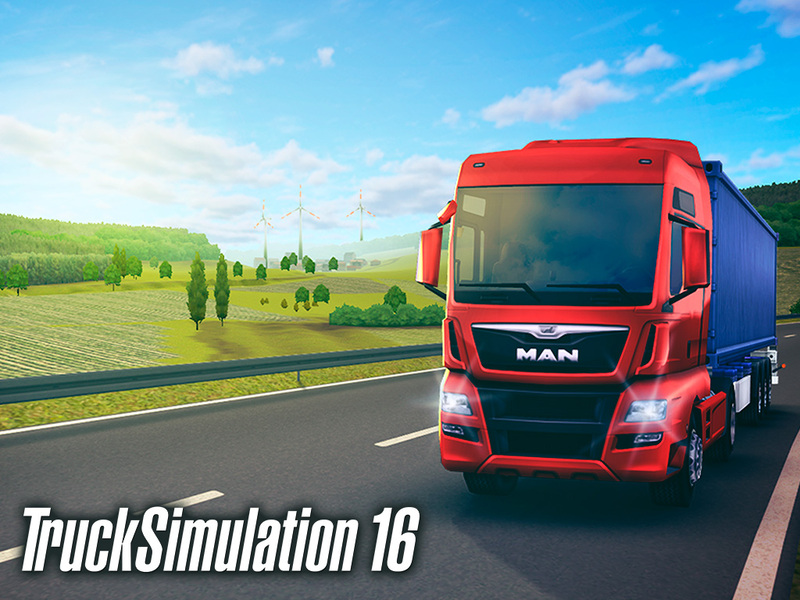 In the menu which will open now, you can choose between lock screen or background screen for the TruckSimulation 16 Picture. A problem with speech recognition on devices that have to be switched to English upon starting the app, as well as the resulting game crashes, has been fixed. 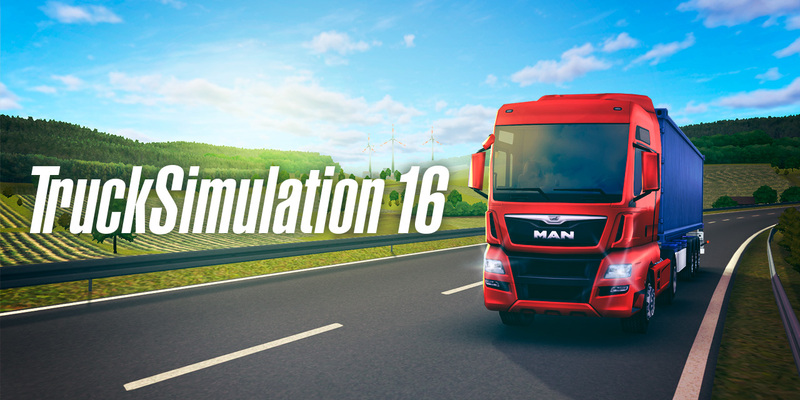 » Imprint | ©2015 astragon Entertainment GmbH. All right reserved.